Read it. It’s good. But be warned: this story has a fatal flaw. Brentley Hargrove’s history of the Texas textbook wrangles is a helpful introduction to the recent round of textbook fights in the Lone Star State. In the pages of the Dallas Observer, Hargrove introduces readers to the recent history of creationist influence in the selection of Texas science textbooks. He offers the backstory of review-board members such as intelligent-design proponent Raymond Bohlin. Hargrove takes the story of the Texas Textbook Two-Step back to the 1970s, when self-appointed watchdogs Mel and Norma Gabler wielded outsize influence on the adoption of books. He describes the rise to educational power of creationist dentist Don McLeroy and the board membership of theologue Cynthia Dunbar. This story is a must-read for everyone interested in today’s culture wars over education, not just in Texas but around the nation. It joins films such as The Revisionaries and documentaries such as the Long Game in pointing out both the peculiarities of educational politics in Texas and the broader meanings Texas school politics has for all of us. But as a historian of these school battles, I must protest against the foreshortened history Hargrove describes. He gives a nod to the long history of cultural battles over education. He mentions the nineteenth-century Bible wars that rocked America’s cities. But then he skips from 1844 to 1961. He leaves out the formative period of today’s educational culture wars. the fear of secularism and modernity remains as potent as ever. Yet it wasn’t until the Gablers came along that this fear took shape in Texas and assumed power. Now, that’s just not true. I understand Hargrove is interested in the way these battles have developed over the past fifty years. But the way they did so was decisively influenced by earlier generations of Texas activists. Even if we make allowances for the contemporary interests of journalists and sociologists, this sort of misrepresentation of the history of Texas’ school battles can’t be given a pass. 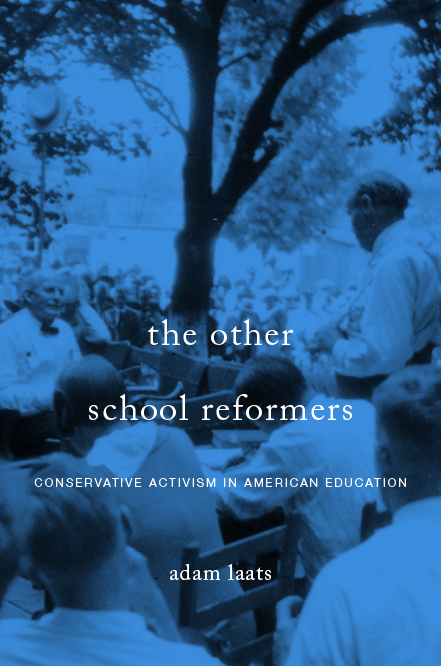 The tradition of conservative activism in which the Gablers, McLeroy, Bohlin, and Dunbar take part has direct roots in the 1920s battles in Texas and elsewhere. As I argue in my 1920s book, anyone with even a passing familiarity with Texas history will recognize the historical importance of J. Frank Norris, for example. In the 1920s, Norris established the activist precedent that later conservatives followed. Norris fulminated against the directions of 1920s public schools in ways that McLeroy, Dunbar, and the Gablers would have appreciated. And he had even more political pull. In the 1920s, though a state-wide law banning the teaching of evolution failed in the Texas legislature, the governor ordered textbook publishers to remove any mention of evolutionary science from the state’s textbooks. All well and good, you might say. But does that pre-history have anything to do with today’s textbook fights? If we want to understand the current moment, do we really have to go so far back? Isn’t it enough to look to the Gablers and start there? The school fights of the 1920s are of interest to more than just nitpicky academic historians like me. Even if we want to start with the Gablers, we need to understand the formative school battles of the 1920s. Mel Gabler was ten years old in 1925. The content and structure of the schools he attended was decided by the activism of pundits such as J. Frank Norris and the pusillanimity of politicians such as the Governors Ferguson. It was in the 1920s that America first battled over schooling in the terms that have remained so familiar ever since. The issues and positions laid down in the 1920s have become the durable trench lines in American education. the cream of self-reliant Middle America. They lived by the old landmarks, took child-rearing seriously, supported community institutions, sang ‘God Bless America’ with a lump in their throats, and believed that the American system of limited and divided governmental power was the best under the sun. How did they get to be that way? How did they become so confident that their vision of proper schooling and society must be fought for? The Texas the Gablers loved had been defined by the activism of the 1920s and succeeding generations. The vision of proper education that fueled the self-confident activism of the Gablers had been established as such in the controversies of the 1920s. If we really want to understand what’s going on today, we need at the very least to acknowledge the longer history of these issues. We need to understand that today’s fights grew out of earlier generations, and those earlier generations did not just spring up full-grown from the Texas soil.